Offer Details: We offer an intimate tasting experience with the family who grow the grapes and make the wine. All Gwinllan Estate, our wines and Champagnes are made from grapes grown at Gwinllan. Meet the owners and winemakers in the tasting room, which is a cave where our wine is barrel aged. Enjoy picturesque views of El Dorado County from the patio outside the cave, which is also a picnic area for customers. We are a small family vineyard and winery, producing a variety of fine wines. Our passion to produce rich full bodied wines begins with the vine and ends in your glass. Since making great wine starts in the vineyard, our search for a perfect location to grow our vines lead us to plant in Fairplay CA,which has an excellent climate and soil. 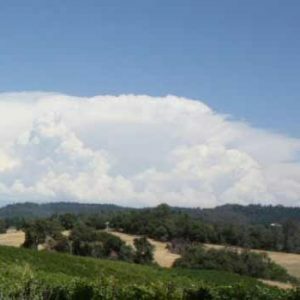 The vineyard is located on a ridge top with great views of El Dorado county in every direction. A large southerly slope provides excellent sun exposure for the vines. The family roots come from Blaengwynfi in Wales and Bedford in England. Our careers brought us to the US over twenty years ago. Eventually, we settled in California. Our passion for wine making and growing grapes took control and changed the focus of our lives. After our previous experience growing grapes in the South of England, battling the Siberian winds, we decided to find the ideal place to grow grapes and make fine wine. Our search for an excellent climate, soils and terrain in Northern California led us to our current location in El Dorado County. Located an hour away from Sacramento or South Lake Tahoe, our vines grow at an elevation of 2,318 ft; this is above the Central Valley heat and below the snow line. The vineyard is planted on unobstructed south facing slopes enabling the grapes to ripen to their fullest extent. The soil is decomposing granite, which gives the optimum drainage and nutrient levels for producing premium grapes. With these perfect growing conditions, the vines produce excellent flavors and characters in the fruit. We decided to honor our welsh roots and named the vineyard Gwinllan Estate (Gwinllan is vineyard in Welsh). We pride ourselves on being a family run vineyard and winery. We produce a variety of fine wines that are now available.